The death of Martin McGuinness has been marked by a genuine outpouring of grief in Catholic areas. His funeral became a celebration of a life of struggle and the tens of thousands who attended clearly agree with Gerry Adams that he was a “freedom fighter”, not a “terrorist”. Not all Catholics hold this view of course, in particular those who were bereaved or otherwise impacted by Provisional IRA attacks and most Protestants had a very different reaction. Whilst there is widespread acceptance amongst Protestants that he had moved away from advocating and supporting violence many can never forgive nor forget his past. A layer of Loyalists actually celebrated the news of his death by lighting bonfires and putting out flags but in general the mood in Protestant areas was more muted. The decision of Democratic Unionist Party leader and former First Minister, Arlene Foster, to attend the funeral of the former Deputy First Minister, was, for example, welcomed by most. The Establishment acknowledge McGuinness’s past but focus on the last 25 years of his life, lauding his role as a peace-maker and statesman. In a way he has come to personify the entire “peace process” and it is thus important for the British and Irish governments that a clear distinction is made between his early years as an IRA leader and his later embrace of constitutional politics. In the intense debate about his life and his legacy the most common word used to describe Martin McGuinness is “complex”. The use of this word represents a confused grasping for a credible explanation for what appears at first sight to be a contradictory life, a life of two halves. Many struggle to explain how a street fighter became a politician working the institutions he had sworn to bring down. In fact there is a simple explanation. His life illustrates failure of the method of “individual terrorism” and the politics of Republicanism. This is not an assertion made with the benefit of hindsight. The forerunners of the Socialist Party were bringing out the first few issues of a new paper called “Militant” just as the IRA were moving on to the offensive in 1971 and 1972. In its very earliest issues Militant was pointing out the bankruptcy of the IRA campaign, with clear headlines such as “Provisional IRA Strategy Will Not Defeat Imperialism”. “Individual terrorism” is the Marxist term for the tactic of assassinating representatives of the ruling class by an armed minority. Instead of demonstrating the need for mass action by the working class secret armed groups substitute their deeds for such action. The working class is expected to provide support but otherwise simply observe the struggle. Individual terrorism will never succeed in defeating a modern capitalist government anywhere. In the specific context of Northern Ireland this is even more the case. Throughout most of the decades of conflict, known as the ‘Troubles’, the IRA’s support amounted to only a minority of the Catholic minority and whatever the IRA’s stated intention, the objective result of its armed campaign was to stoke the flames of sectarianism, increasing divisions amongst Catholic and Protestant workers, and to vastly reduced any prospect of its stated aim of “British withdrawal”. So why did Martin McGuinness pick up a gun? He was active in the IRA and Sinn Fein for his entire adult life and his political journey is absolutely tied in to the trajectory of the republican movement over the last half century. Caught up in the turmoil of the summer of 1969 he joined the left-moving Official IRA initially but quickly switched to the more right-wing Provisional IRA, which seemed to offer more effective defence of Catholic areas than the Officials and determined opposition to state repression. He rose quickly through the ranks and such was his stature that at the age of only 22 years he was flown to London to represent the IRA in talks with the British government. His message for William Whitelaw in 1972 was uncompromising; there would be no end to the IRA campaign short of Britain agreeing to withdraw. Martin McGuinness was reacting against concrete circumstances. He grew up in a world of mass poverty and unemployment. Like all other Catholics in Northern Ireland and Derry he suffered sectarian discrimination. This was most obvious in the case of the local council in Derry which was “gerrymandered”-that is, electoral boundaries were deliberately manipulated to ensure that there was a Unionist majority in a city which was two thirds Catholic. In addition to this business rate-payers received more than one vote, a process which favoured Unionism as the business class was dominated by Protestants. Of course Protestant working people also suffered unemployment and poverty, and were also discriminated against by the business vote system. This shared misery provided the basis for common struggle. And indeed in the decade before the outbreak of violence in 1969 common struggle was the order of the day. 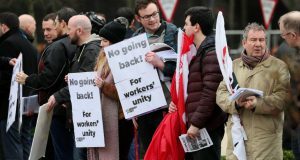 Working people stood together in a wave of strikes and voted for the cross-community Northern Ireland Labour Party (NILP) and other left parties in increasing numbers. Then the emergence of the civil rights movement in the late sixties, which energised tens of thousands of young people, including significant numbers of young Protestants, presented a golden opportunity for the workers movement to take the lead in a mass movement of opposition to both unionism and nationalism and for socialism. This opportunity was not seized and the failure of the labour movement (the trade unions and the left parties, especially the NILP) to intervene allowed John Hume and others to instead claim leadership of the civil rights movement. Hume was a voice for the conservative Catholic middle class and was opposed to the adoption of class or socialist ideas that might “split” the all-class, Catholic, united movement he favoured. The increasing dominance over time of Hume and his co-thinkers allowed the opponents of the Civil Rights Association to portray it as a movement for the rights for Catholics and against the rights of Protestants. Within a period of months, violence exploded on to the streets. There was a real danger of the North tipping into outright civil war. It was the strength of the workers movement built during the previous period that prevented such a catastrophe. Working class activists intervened in the workplaces and in local communities to prevent violence spreading and generalising. The initial violence in the summer of 1969 did subside quickly but the British army were now on the streets and increasingly adopted heavy-handed methods. In the absence of a class alternative armed republicanism was able to step into the gap. 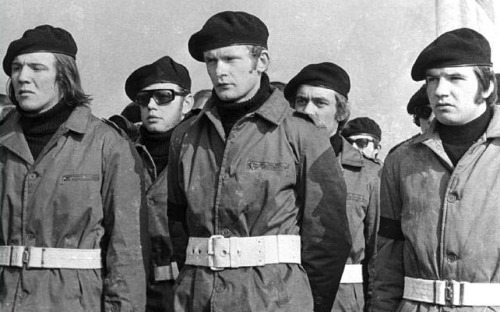 By the late 1960s the IRA were widely seen as a fading relic of the past. The “Border Campaign” of 1956 to 1962 had barely spluttered into life and the idea of a new armed struggle would have seemed fanciful, even bizarre, before the summer of 1969. Now republicans could argue that there was no alternative to the resort to arms. Prominent IRA member Tommy McKearney has articulated this view most clearly: “When… unionism… reacted with bloody violence to a campaign for democratic rights, the leadership of the civil rights campaign was left floundering. 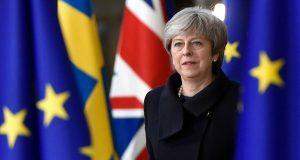 They were, in reality, invited to accept the limited reform package offered by London with its details to be implemented by Stormont’s Unionist government or to go home quietly and sulk” (“The Provisional IRA: from insurrection to parliament”, Pluto Press, 2011, p 97). McKearney is wrong but thousands of young Catholics could see no credible alternative as repression was increasingly meted out by the Royal Ulster Constabulary (RUC) and British Army. The alternative method of struggle – the mass struggle of the broad labour movement, uniting Catholics and Protestants against unionism and nationalism and for socialism – was promoted by relatively small numbers of activists, and the message was not heard by most. Martin McGuinness’s subsequent life is representative of the story of so many of the young Catholics who took up the gun. There can be no doubting the courage or willingness to make personal sacrifices of those who were drawn into the ranks of republican paramilitary groups and this generation of republican activists paid a terrible price for the direction they took as nearly 400 of their number were to die and 25,000 to go to prison in the years ahead. After proclaiming imminent “victory” in the early 1970s, the PIRA fought its “long war” with the British state with the aim of achieving a “British intent to withdraw” until the mid-1990s. Its volunteers mostly believed that they were engaged in a struggle with imperialism for a socialist united Ireland. Whatever the intentions of rank and file IRA members its campaign was objectively sectarian. It held that the opposition of Protestants to a united Ireland would melt away once Britain withdrew. It thus simply ignored the views and aspirations of Protestants. The sectarian side to its campaign was not obvious when the IRA attacked British soldiers and other representatives of the British state but was hard to disguise when car bombs destroyed the centres of largely Protestant towns, or isolated members of the Ulster Defence Regiment (locally recruited and mostly part-time members of the British Army) and RUC were picked off one by one at their workplaces or at their homes. At other times the IRA’s campaign was nakedly and viciously sectarian. In the period of 1975-76, for example, more than 60 Protestants died in sectarian attacks. We should not forget that not all young Catholics moved in the direction of armed republicanism. Others who were walking the same streets as Martin McGuinness in the late 1960s and early 1970s, and who experienced the same events, drew very different conclusions about the way forward. Many of the trade union and left activists who fought for working class unity from the late 1960s continued to do so in the grim years ahead, building trade union organisations, leading strikes and standing in elections when possible. These activists directly clashed with Martin McGuinness and the republican movement. In December 1975, for example, Derry Trades Council organised an historic demonstration of 5000 after the PIRA, in which Martin McGuinness held a very senior position, shot dead two Protestant civilians in a café in the city centre. This action acted as a catalyst for more generalised trade council organised strikes and demonstrations in other areas of the North after the savage murders of six Catholics by the UVF in South Armagh, and ten Protestant workers at Kingsmill by the PIRA, in January 1976. Eventually Martin McGuinness, Gerry Adams and republican movement went down the road of the “peace process”. In trying to understand why they did so it is important to register that republicanism lacks the steer of a coherent political ideology but rather reacts to events with pragmatic decisions. By the late 1980s the republican leadership were increasingly aware that their armed campaign was down a cul-de-sac and that they needed a way out. The mass pressure of a war-weary working class was coming to bear through the series of huge trade union organised demonstrations in the late 1980s and early 1990s. The drastically changing international situation – the collapse of the former Soviet Union and the move towards negotiated settlements by the ANC and PLO, for example – also had a strong influence on the path taken by the Republican leadership. In August 1994 the PIRA called a ceasefire and eventually multi-party talks lead to “agreement” on the formation of a power-sharing form of government. Standing reality on its head, Sinn Féin now argue that the IRA achieved its aims. To make this case it asserts that the armed campaign was not about British withdrawal and a united Ireland but rather was about “smashing the Orange State” and ending unionist supremacy. This argument is doubly false. The IRA campaign was precisely aimed at achieving a British declaration of intent to withdraw, though, of course, the motivation of IRA volunteers was complex and for many amounted to a desire to hit back against a repressive state in the only way they saw as available . And the IRA campaign did not smash the Orange state. The civil rights movement, and the mass uprising in Catholic working class areas in the early period of the Troubles, had ensured that there would be no return to the old way of running the North before the offensive campaign of the IRA even began. The lesson of the Provisional IRA campaign is not that it achieved its stated aims but that it did not and never could. Martin McGuinness’s life is representative not of the triumph of peaceful methods over the use of violence but of the tragedy of the missed opportunities of the late 1960s. The responsibility for this tragedy, which lead directly to thousands of working class people going to premature graves, lies with the leadership of the trade unions and the Northern Ireland Labour Party. They stood aside when they should have moved to give a lead and unite Catholic and Protestant workers and young people in a joint struggle for a socialist future. A generation has grown up in a more peaceful Northern Ireland since the Good Friday Agreement in 1998, but the fundamental problems facing working people are no closer to a solution now than were twenty years ago. Successive Northern Ireland Executives have fundamentally failed to overcome sectarianism and in fact have entrenched and reinforced division. For working people in both communities there has been no real peace dividend from the peace process. In fact the Executives that Martin McGuinness served in, first as Education Minister and later as Deputy-First Minister, have implemented right wing neo-liberal policies of privatisation and cuts which have been disastrous for working class communities. The purpose of any political obituary is to learn from a life which has ended and to draw conclusions for today and tomorrow. Martin McGuinness has died at a time of political turmoil and days after a highly sectarian election. At the time of writing, multi-party talks are underway but real change will not be delivered by Martin McGuinness’s political heirs or by the other sectarian parties. The organised working class remains the only force which can deliver a future free from sectarian division, conflict and poverty.